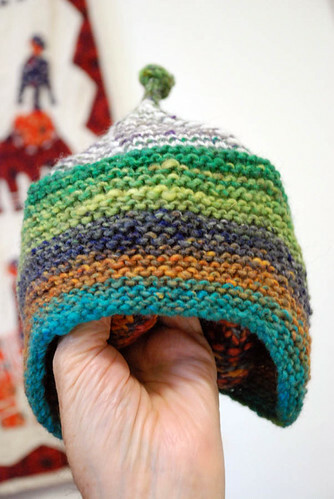 There were some hats, all for a little fella I like a lot. 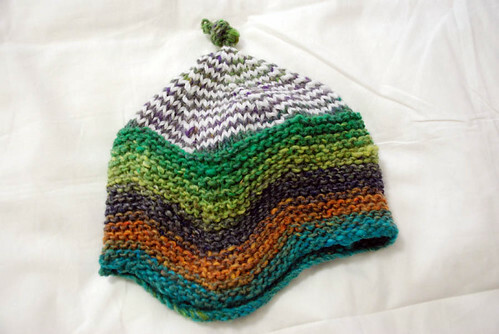 First we have Quynn by woolly wormhead, one of the great patterns from her book "Bambeanies". and could not resist to add some stripes! and added a little knot at the top! I'm quite pleased with it, and G was very happy when he received it. His mum reports he wore it happily, and asks for a bigger version for herself!!!! 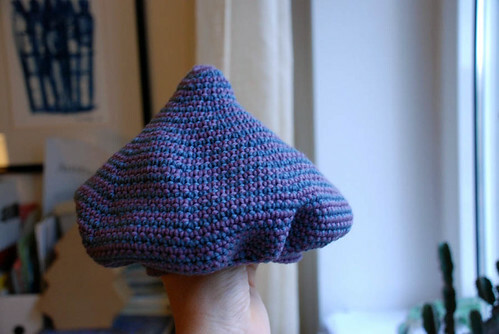 Second hat is again a ww model, but it is crocheted! Isn't it cute? 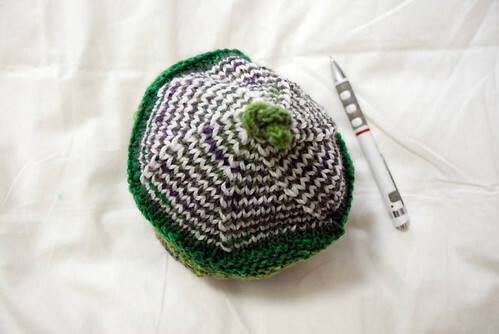 It looks like a little mushroom, and the pattern is obviously called Mushroom cap! 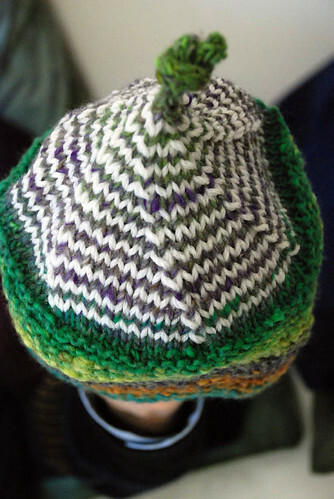 It's an easy pattern, and have stripes, and I had been waiting for its release for long, so when it came out I could not resist. 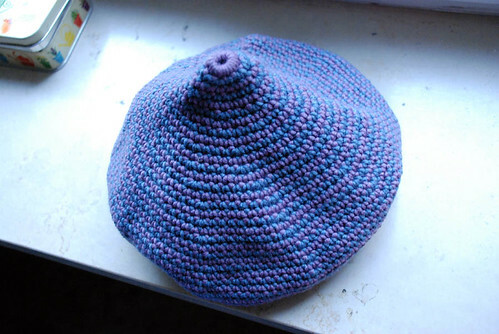 Made with unknown merino wool with a 4.5 crochet hook, I made it in three evenings! And little G is happy again, and well equipped for next winter!